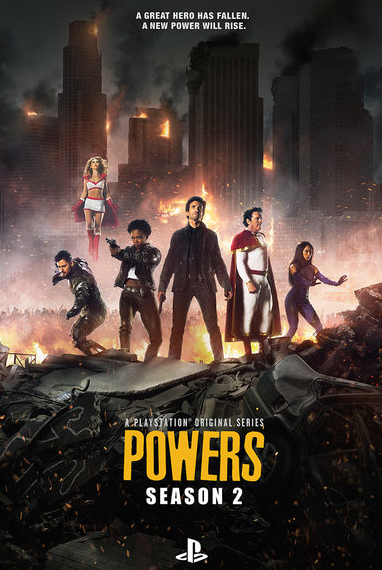 You may not know that Sony’s Playstation Network is investing in a line up of new and original programming, headlined by the super hero show, Powers. OHSOGRAY attended the premiere of season 2 and talked with the cast about why this is a show you should be bingeing. Check out what they had to say below. Powers is an edgy dramatic series based on the graphic novel series of the same name, and follows the lives of two homicide detectives, Christian Walker (Sharlto Copley) and Deena Pilgrim (Susan Heyward), who are assigned to investigate cases involving people with extraordinary abilities, referred to as “Powers.” Set amidst today’s paparazzi culture, Powers asks the questions, what if the world was full of superheroes who aren’t actually heroic at all? What if all that power was just one more excuse for mischief, mayhem, murder, and endorsement deals? Powers is available on the Playstation Network and Sony Smart TVs as part of a nonimal fee based subscription. It is also available on iTunes.